Share ShelterBox's message with your club. Rotary Club Champions are people who share our passion for ensuring no family is without shelter and share that message within their own Rotary Club. The Rotary Club Champion (formerly known as Rotary Club Liaison) is a volunteer position specifically made for Rotarians. 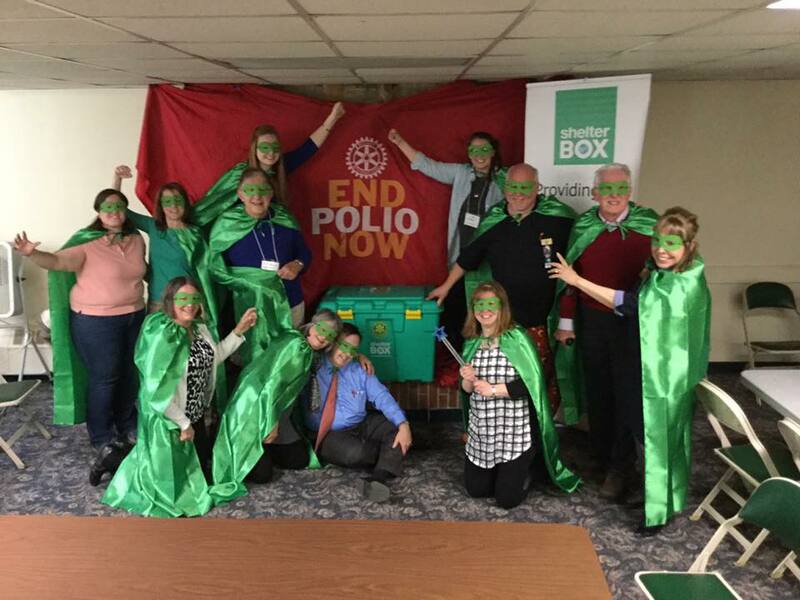 Champions raise awareness about ShelterBox within their Club, apply for Club and/or District funding for ShelterBox, and act as the main point-of-contact between the Club and ShelterBox USA. Read about our partnership with Rotary International. Activate in times of disaster – when major disasters strike, families need our help more than ever. During this time, we need the support of our volunteers to share important updates about our current response. We need your support to share these urgent updates with your network and help us to raise funds and awareness while the disaster is in the media spotlight.